I was recently asked to give a 30-minute after-dinner talk to the 3CPR Resuscitation Panel of the American Heart Association at their annual scientific meeting in Anaheim, CA. In the audience were scientists, cardiologists, anesthesiologists, anesthetists, emergency physicians, and resuscitation technicians. It was a multimedia event with professionally managed sound and video. Knowing that the group would be well acquainted with the role of chance in medical procedures, I chose to use a segue from medicine into the topic of extreme adventures in military and civilian diving. The focus of the talk was on how chance can turn adventures into mis-adventures. I revealed three areas where Navy Biomedical Research is expanding the boundaries of the state of the art in military and civilian diving. One area was in deep saturation diving, another was polar ice diving, and the third was breath hold diving. As an introduction to polar diving, I wanted to create a video travelogue of my National Science Foundation-sponsored research and teaching trips to the Arctic (Svalbard) and Antarctica (McMurdo Station and vicinity.) These projects were spearheaded by the Smithsonian Institution, and my participation was funded in part by the U.S. Navy. To begin the preparation of the video, I assembled my most relevant photos, and those taken by various team mates, and imported them into my favorite video editing software, which happens to be Cyberlink Director. Then I went looking for potential sound tracks for the approximately 5 minute video. Considering the topic, I thought Disney’s Frozen would have familiar themes that might be acceptable. I rejected a number of YouTube videos of music from Frozen; most were too close to the original and included vocal tracks. Finally I came across the “Let It Go Orchestral Suite” composed by the “Twin Composers,” Andrew and Jared DePolo. It was perfect for my application. I extracted the audio track from the Suite as shown on YouTube, imported it into Director, and lined it up with the nascent video track which included all images and other video segments. To match the music to the video, I simply cut back on the duration for each of 97 images, keeping the other 5 videos in their native length. By experimentation, I found that 3.21 seconds per image resulted in the last image fading out as the music came to a close and the end credits began to roll. On the first run through of the new video, I couldn’t find anything to complain about; which for me is rare. So I ran it again and again, eventually creating an mp4 file which would play on a large screen and home audio system. But I couldn’t help notice that the gorgeous score would sweeten at interesting times, and serendipitously change its musical theme just as the video subject matter was changing. How fortunate, I thought. It was then that I began to realize that “chance” had worked its way into the production effort, in an unexpected way. The timing coincidence was rather subtle at first, but as the finale began building at the 3:39 minute mark, the force of the down beat for each measure became more notable, and the coincidence with image changes became more remarkable. There was absolutely nothing I could do to improve it. In some cases the technical dissection of music can be a distraction from the beauty of the music, but I’ve done it here merely to point out that sometimes you just luck out. In this case it truly was a matter of chance. In my mind, the DePolo Orchestral Suite makes the video. Hope you enjoy the show. To learn more about these composers and their music, follow this link. A photo of Jello Wrestling among fully clothed adults was published today as an indictment of the National Science Foundation (NSF) and its off-duty recreation program for McMurdo Station, Antarctica. Since I’ve spent a little time at McMurdo Station, I’d like to come to the defense of the NSF – by doing nothing more than describing what life in Antarctica is like. I am not, and have never been an employee of the National Science Foundation, and have never held an NSF grant. I’ve never participated in a Jello wrestling match, although it looks like fun. So, I am unbiased about this news event. However, I am informed about the rigors of daily life at McMurdo Station. What is most concerning to me, is that the Coburn report focuses on a non-science activity, designed to relieve interminable boredom in a minimalistic environment. I think that, if pressed, the report’s author would have to admit the photo has nothing whatsoever to do with waste in science funding. How much can Jello bought in bulk for the McMurdo cafeteria cost? As the Google image above shows, men and women who support the McMurdo and South Pole Station are isolated by vast distances from “civilization”. The closest cities with air transportation to the U.S. bases are either in Christchurch, New Zealand, or in Chile. During the winter, with 24 hours of darkness and generally horrible weather, it is virtually impossible for anyone to leave the bases. There are no flights into or out of the continent. So if anyone developes a medical problem or injury too great for the local medical support staff to handle, they are simply out of luck. During the winter months, the size of support and scientific staff are greatly reduced, so those sharing the bleak winter together get to know each other, well. The contract staff during both winter and summer is composed largely of young, college-age men or women who are healthy, energetic, and are signing on for adventure. But think about it. With 24 hours of darkness during the winter, the opportunities for recreation are minimal. It typically isn’t safe, or even possible, to go for walks or runs outdoors. A trip away from base, or even close by, could prove fatal if the weather were to change suddenly, which it often does. There are no soccer fields, no ball parks. And even worse, for those of you forever connected to the Internet, there is barely enough bandwidth down there to support email on a bank of shared computers. Want to send a photo of yourself home to the folks? Forget about it. At least that’s how it was when I was there a couple of years ago. View from Hut Point, McMurdo. Click for a larger image. Life in Antarctica, at its best, is a spartan existence in a harsh, unforgiving environment. So how do these young men and women entertain themselves? The fact of life is that off-duty entertainment, anywhere in the world, can lead to pregnancy, which in Antarctica can easily become a medical emergency. And medical emergencies can lead to drama very quickly since flights out of McMurdo are nonexistent in the winter and difficult to arrange, and very expensive, even during the summer. So group entertainment that keeps these young healthy adults occupied is a wonderful idea. I admit I do not know all the facts behind the firing of the Jello Wrestling organizer, reported in various news accounts. But I have to wonder: why would off-duty entertainment be a reason to very publicly condemn the organization that funds and staffs the McMurdo Station, and funds a large proportion of science research in the U.S.? As a scientist I do not understand the denigration of the noble discipline that helped our country attain greatness, defend itself, and lead our way into the future. If science is to be attacked in public, I would ask that those attacking it be held accountable for the damage they do to science institutions, and to the minds of young men and women on the verge of becoming scientists. As a country we decry our failing leadership in science and engineering, and complain of the poor quality of education in the math and science disciplines, and yet we allow, and even fund, studies that criticise programs that have long been working safely and productively in the harshest environment on Earth. The U.S. Antarctic Program is a success story, in spite of what headlines of the day might suggest. You are 100 feet down using scuba, with your dive light spotlighting the most exotic looking Sea Hare you’ve ever seen. It’s noon at McMurdo Station, Antarctica but it’s dark at your depth because between you and the surface of the Ross Sea lies19 feet of snow-covered ice. Your dive buddy has drifted about 100 feet away, but you can see him without hindrance in the gin clear water of the early Antarctic springtime. The 800 foot water visibility also means you can easily see the strobe light hanging on the down line 200 feet away, the line leading to the three and a half foot diameter hole bored through the ice. 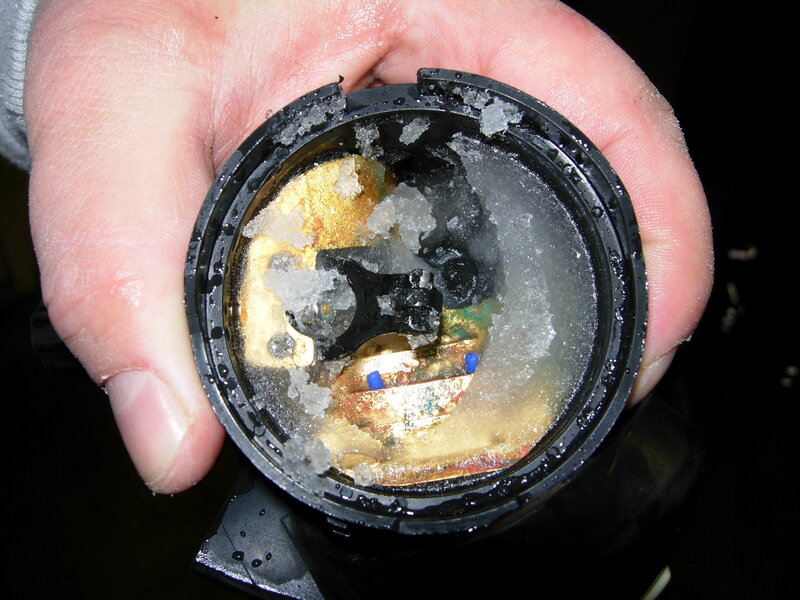 Under these conditions, you should not have to worry about your regulator, but you do, because you know that any scuba regulator can fail in 28° F water, given enough opportunity. You also know that some regulators tolerate these polar conditions better than others, and you are using untested regulators, so yours might free-flow massively at any moment. Should that happen, you have a back-up plan; you will shut off the free flow of air from your failed regulator with an isolation valve, remove the failed second stage from your numb and stiff lips and switch to a separate first and second stage regulator on your bottle’s Y-shaped slingshot manifold, after first reaching back and opening the manifold valve. Of course, that backup regulator could also free-flow as soon as you start breathing on it – as has already happened to one of your fellow test divers. In that situation you would have no choice except to continue breathing from what feels like a torrent of liquid nitrogen, teeth aching from the frigid air chilled to almost intolerable temperatures by unbridled adiabatic expansion, until you reach your dive buddy and convince him that you need to borrow his backup regulator. Once he understands the gravity of the situation, that two of your regulators have failed, then the two of you would buddy-breathe from his single 95 cu ft bottle as you head slowly towards the strobe marking the ascent line. And of course he will be praying that his own primary regulator doesn’t fail during that transit. Once you reach the ascent line you are still not out of difficulty. The two of you cannot surface together through the narrow 19-foot long borehole. So you would remove your regulator once again and start breathing off a pony bottle secured to the down line. Once it is released from the line, you can then make your ascent to the surface; but only if a 1300-pound Weddell seal has not appropriated the hole. In a contest for air, the seal is far more desperate following an 80 minute breath-hold dive, and certainly much more massive than you. Weddells are like icebergs – their cute small face sits atop a massive body that is a daunting obstacle for any diver. 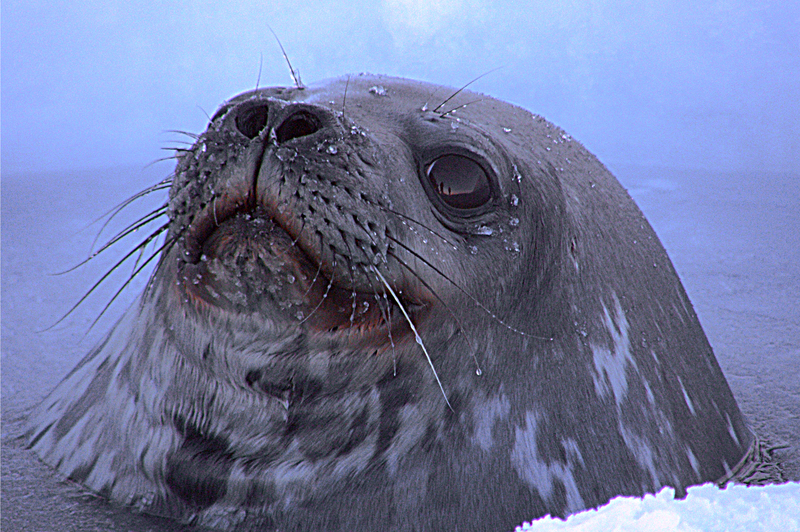 But you even have a plan for that — you’ve heard that Weddell seals don’t like bubbles, and they get skittish about having their fins tugged on, and will thus relinquish the hole to you. … At least, that’s what you’ve been told. You certainly hope he would leave before you consume the meager amount of air in your pony bottle. 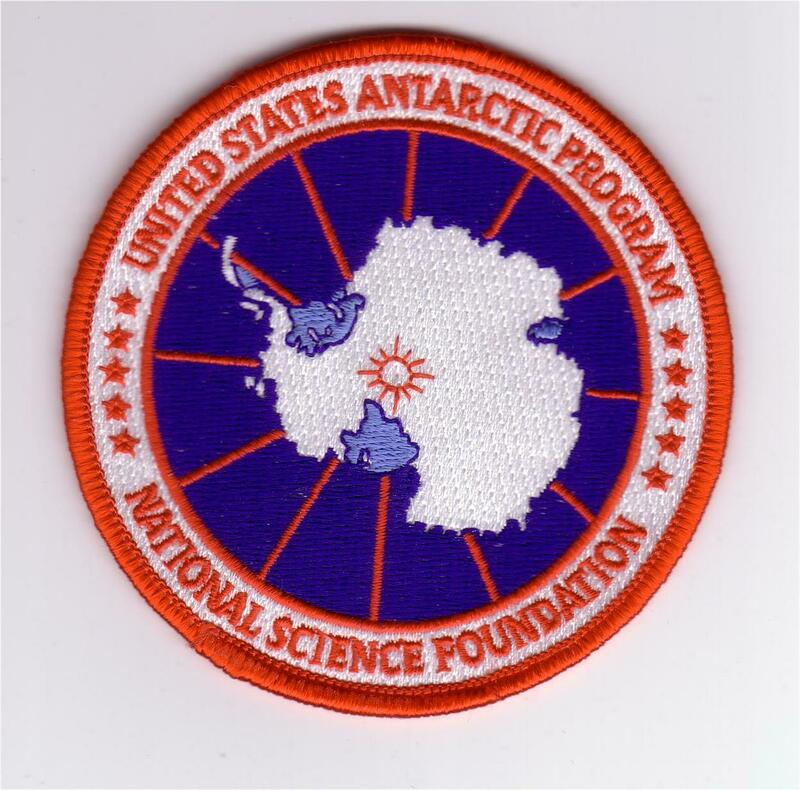 The text above was taken from a U.S. Navy Faceplate article I wrote concerning a 2009 Smithsonian Institution sponsored diving expedition to Antarctica in which I participated. 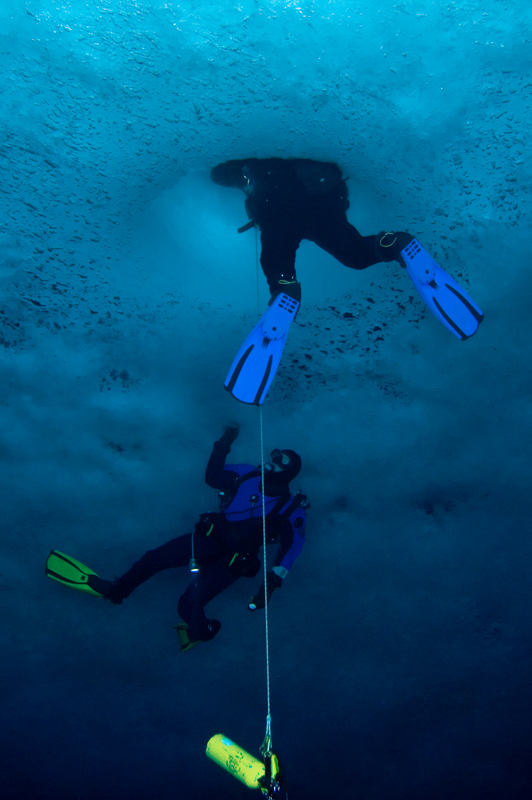 On and under-the-ice photos were taken by expedition members Drs. Martin Sayer and Sergio Angelini.